Southern Bloggers Conference: Fish Foam + Purdy Brushes = Swag! The Southern Bloggers Conference is being held at the Embassy Suites in Raleigh, NC, October 12-13, 2012. If you already have your ticket, yeah! If not you better buzz on over to the site and get yourself a ticket and a room! There will be lots to learn and lots of SWAG! to take home with you. Did I mention all the Amazing Bloggers you will meet. I attended Haven Conference in Atlanta this year and I can tell you going to a Bloggers Conference can change your life. Did I mention all the FUN! you’ll have. We have great sponsors that are slipping goodies “SWAG!” into a big awesome bag for you to take home and fall in love with. Here are two of the Sponsors for you to get a preview of!! 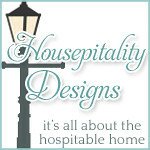 Please go to their site and use their products and help us thank them for their generosity and support of our Southern Bloggers Conference. Fish Foam is an amazing cleaning product. I came home from Haven Conference with a can in my Swag Bag. My husband was with me at Haven and new I had been given lots of goodies and remembered the unique product Fish Foam. He asked to use the Fish Foam to clean the windows in our car, of course you can honey… He came back inside and said “That stuffs awesome, I can’t believe how good it cleans the windows.” That’s when I knew it must be really good. I contacted Fish Foam from their Facebook Page and Nathan wrote me an email. My 2 daughters High School Chorus Programs were holding a Car Wash. A match made in heaven, Car Wash + Fish Foam = Happy Clean Windows. Nathan mailed me several can of Fish Foam for the car wash and…..made a generous donation without being asked to our High School Chorus Program. Thank you Nathan, & Fish Foam. So please go to their site and order you some of this great window cleaning product here! Here a Fish Foam Video. Enjoy these pictures of my 2 daughters and their Chorus Group having a great time at their car wash to raise money to go sing at a competition. Working hard to rally cars in to get washed. Rent A Center, local business, just dropped by to make a donation, Thank you!! Here’s part of the group…. NOW, On to another sponsor, PURDY Paint Brushes!! I don’t know if you do much painting, but I do. In our store, Living on the Bliss, we paint vintage furniture with Chalk Paint which requires a very good paint brush. So..our brush of choice is PURDY!! Here’s a couple of photos of our favorite Purdy brushes. Can you tell the one on the right has painted a few things. 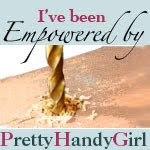 Purdy is a generous sponsor of the Southern Bloggers Conference, and will be donating paint brushes for our “Swag” Bags. Thank you Purdy! Please join us at the Southern Bloggers Conference, “Like” us on Facebook and “Follow” us on Twitter.